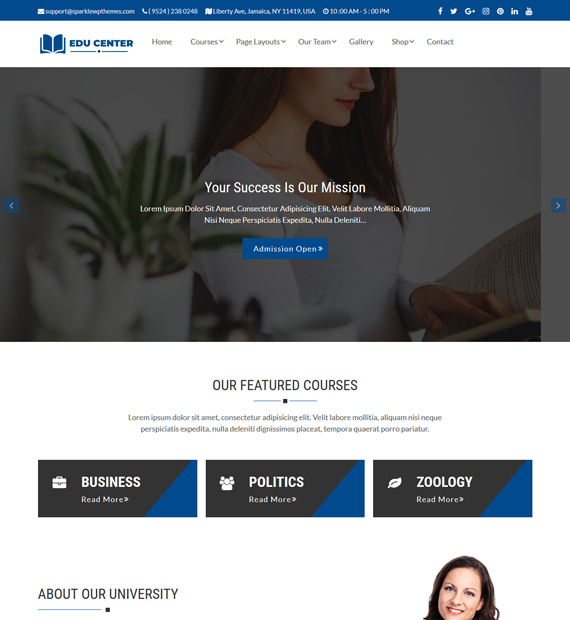 Educenter is the perfect theme for all kinds of educational websites. Not only is it highly customizable but you can preview your changes in real time as well. As it is responsive on all devices, your website will look elegant regardless of the screen size. Furthermore, Educenter is also WooCommerce compatible, translation ready, Contact Form 7 compatible, and SEO friendly. With this intuitive and user-friendly theme, you can build a beautiful looking website without any trouble.